KTM, it seems, can do no wrong in the Dakar Rally. 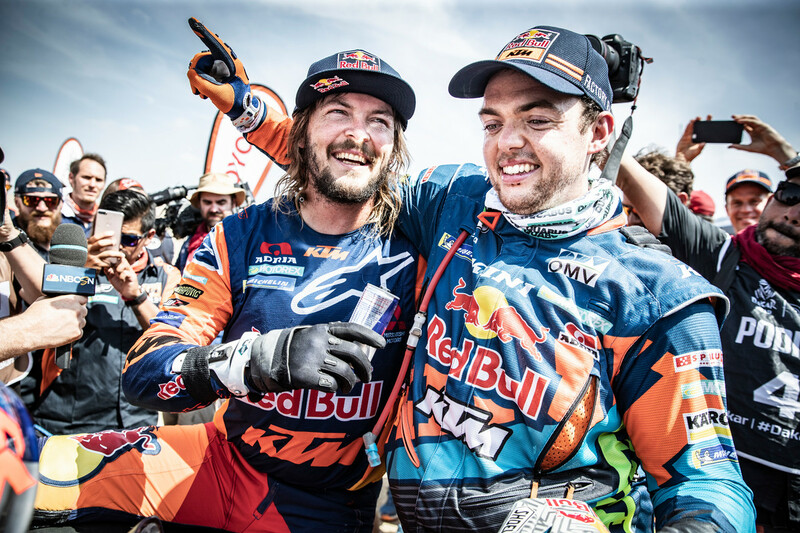 Toby Price today won the final stage of the 2019 rally, and in so doing he captured his second personal win and KTM’s 18th consecutive one. Price was considered somewhat of an underdog going in because of a wrist injury. It was also a very competitive year with five different manufacturers winning at least one stage apiece. In the end, Price’s closest competitor was Rockstar Husqvarna rider Pablo Quintanilla, who had to make up a full minute on the short final day. Quintanilla ended up crashing and finishing 22nd, dripping back to fourth in the final standings. For the Americans, Andrew Short was a ray of sunshine after Ricky Brabec’s departure on stage eight. Short rode a conservative race to finish 5th. Garrett Poucher was 32nd in the end and Nathan Rafferty was 50th. To look back over the last 10 days of Dakar coverage, click here. 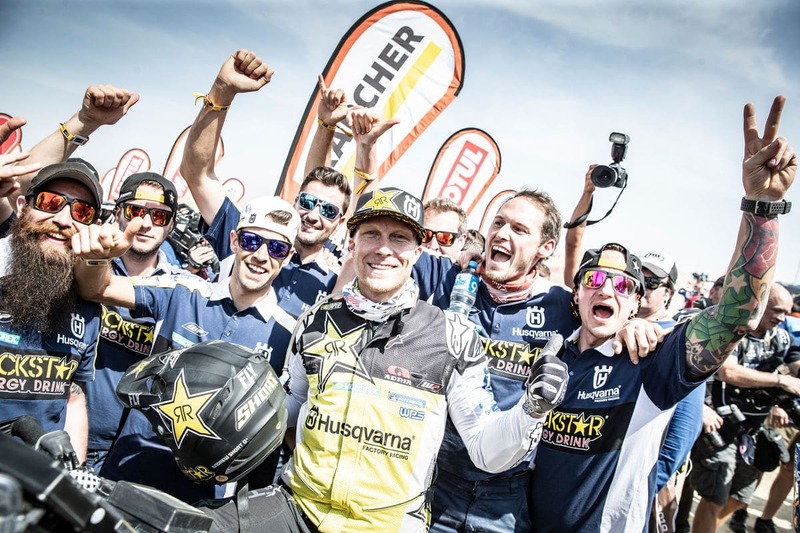 “It feels amazing to stand here knowing I have won the Dakar, I don’t think it has really sunk in yet. I thought at the beginning of the event I would be lucky to even make the rest day. My Red Bull KTM bike has been amazing, I want to say a big thank you to my mechanic for that. The whole crew here do an amazing job – without them I would be no one. The team put in so much work on the lead up to the event and when we get here it’s down to me out there on the track so it feels amazing to be able to reward them all with this result and keep KTM’s winning streak going. “Today I gave it all for the overall win, but things did not go as planned. A few kilometres into the stage there was a broken dune and it was hard to see it. I jumped it and landed heavily on my foot. Luckily the medical crew arrived a few seconds later and they helped me get back on the bike.